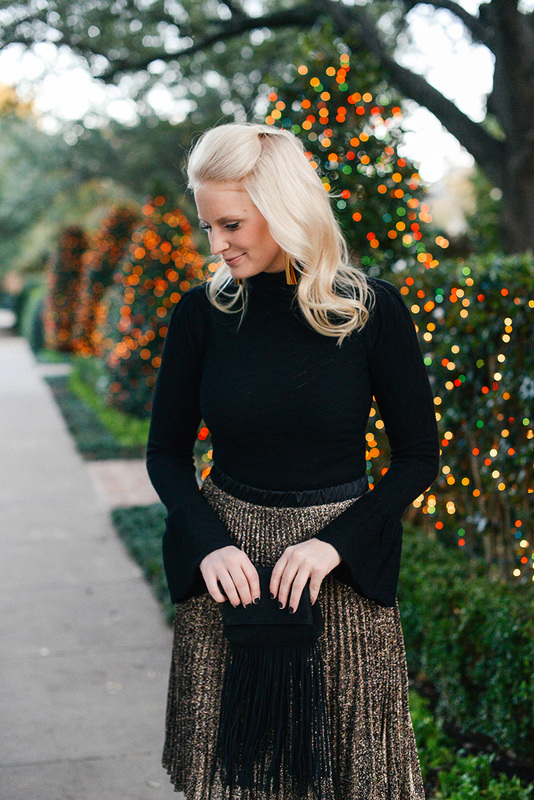 holiday party outfit guide // festive looks for every occasion and budget! This time of year is BUSY. From casual get togethers with your friends, to work functions and fancy cocktail parties, your schedule is likely packed with activities. 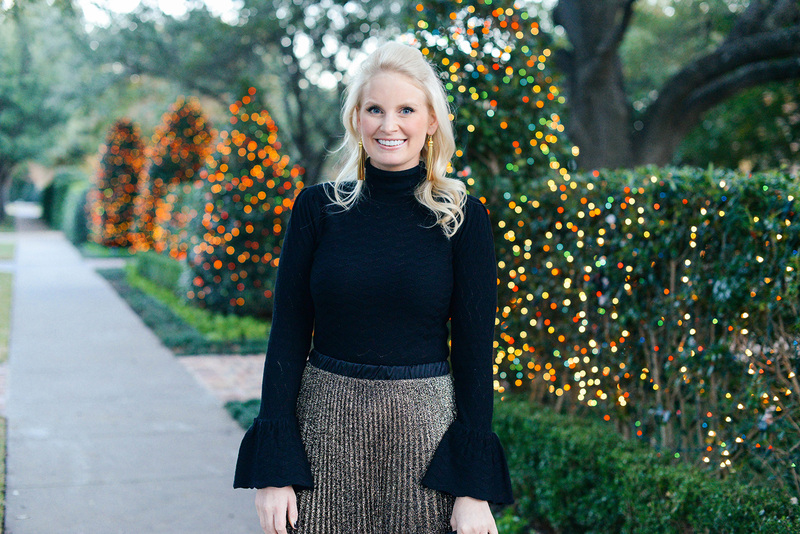 While it’s obviously easy to just share fun holiday party dresses this time of year, I wanted to share some casual options along with the dressy outfits for those of you just looking for something cute to wear to your friend’s secret santa party. 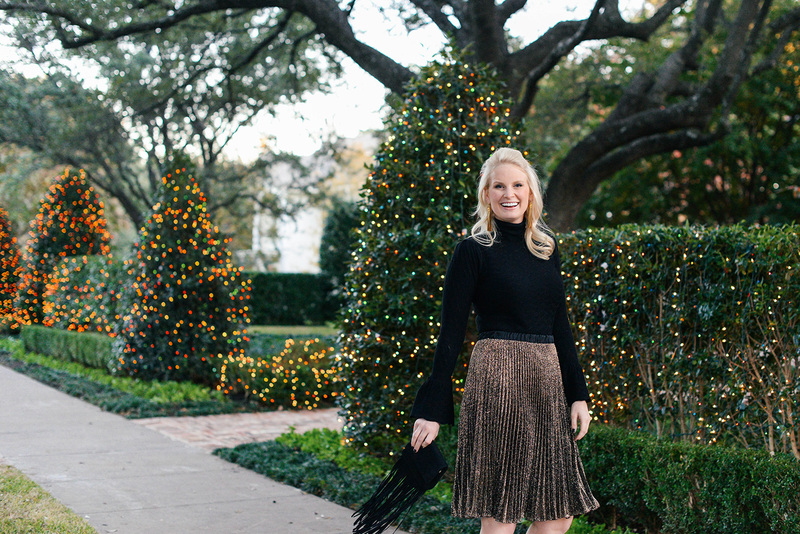 With that, I’d like to introduce you to my Holiday Party Outfit Guide, featuring five looks ranging from super casual to cocktail fancy, and highlighting options for recreating the looks at every price point! 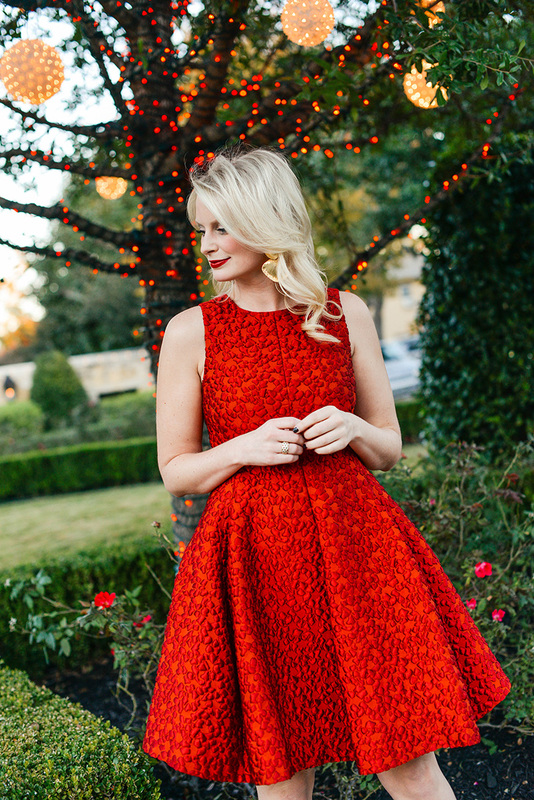 I love that while this dress features some red, it doesn’t scream “Christmas”. 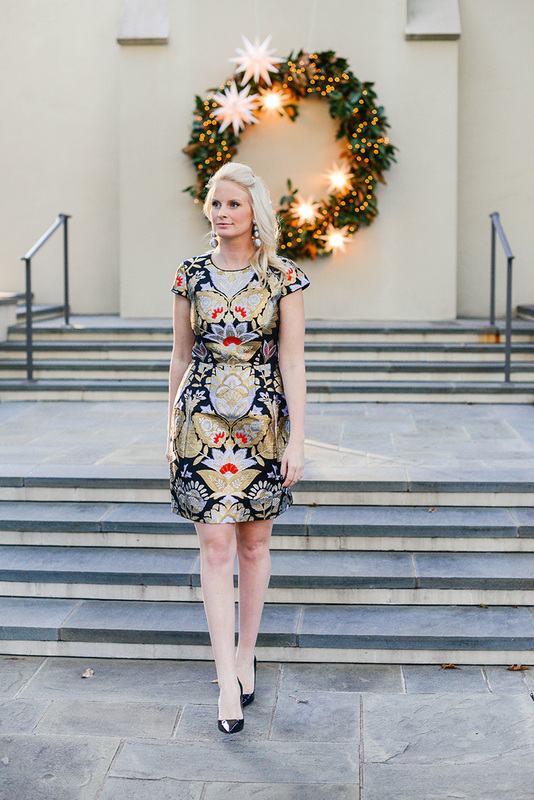 With the metallic silver and gold jacquard print, it could honestly work for holiday parties OR New Year’s Eve! 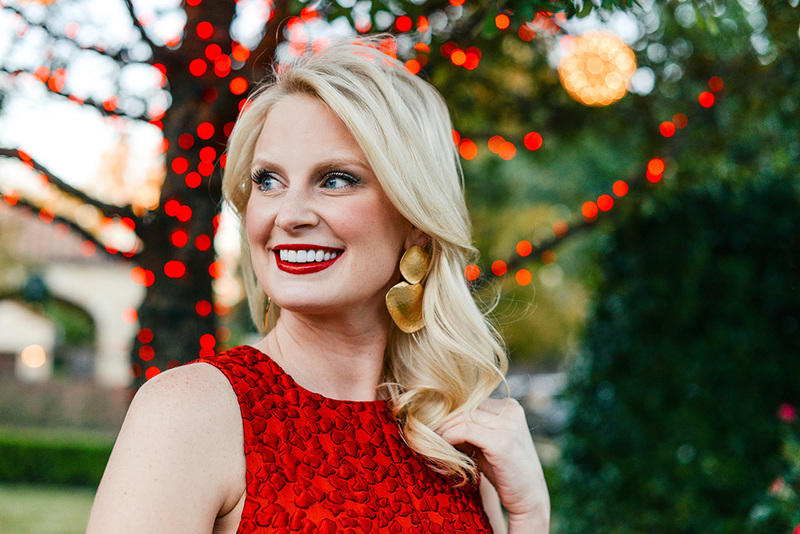 Pair it with a red lip to bring out the red in the dress, or with gold or silver statement earrings to make the look pop. Because the print on this dress is pretty busy, I would opt for simple pumps and a clutch or small handbag. You’re probably thinking this doesn’t look very “holiday”, and that’s sort of the point. With so many dinners and little fetes throughout the week this time of year, I prefer to save the really jazzy pieces for the bigger parties. This is an outfit I’d wear to a Christmas dinner at a friend’s house, or a post-work happy hour before we all head to our respective homes for the holiday. 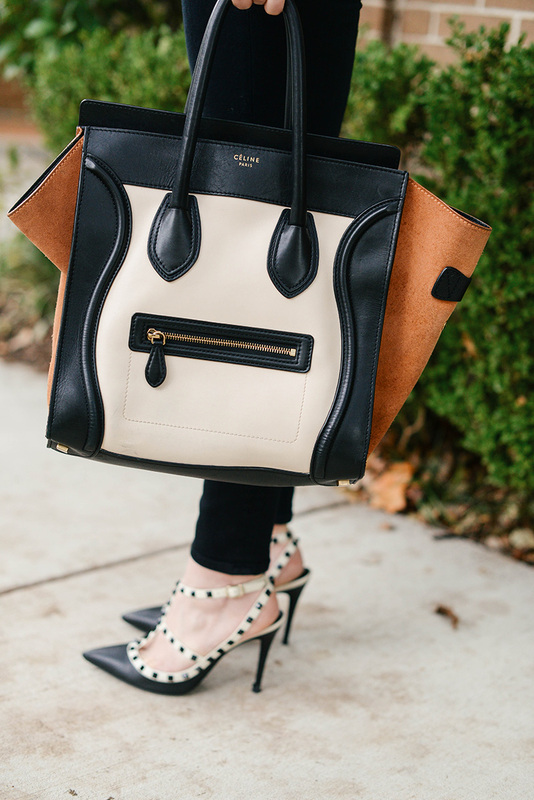 It’s a comfy, cozy look, but is instantly elevated by chic, luxurious accessories. For more casual get togethers like a Secret Santa with my besties or a cookie decorating party (I hosted one a couple years back! 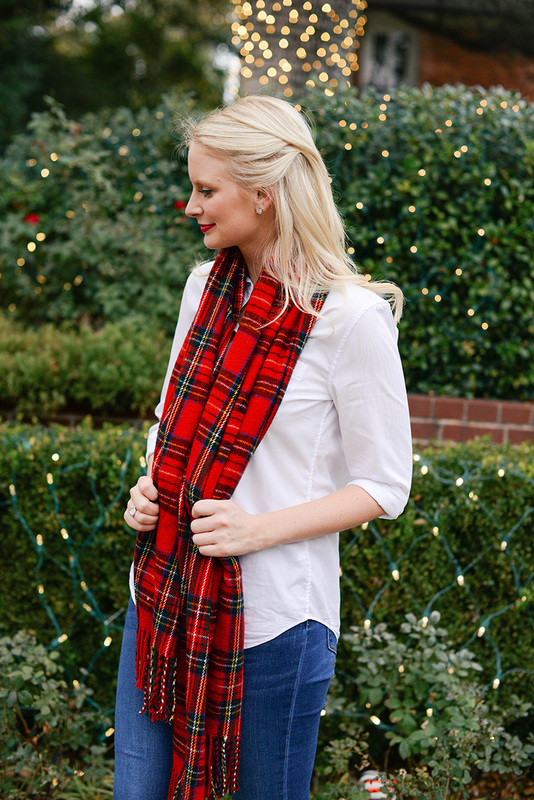 ), I’d opt for something effortless and comfortable like a pair of skinny jeans, a button down, and festive accessories like a plaid scarf. 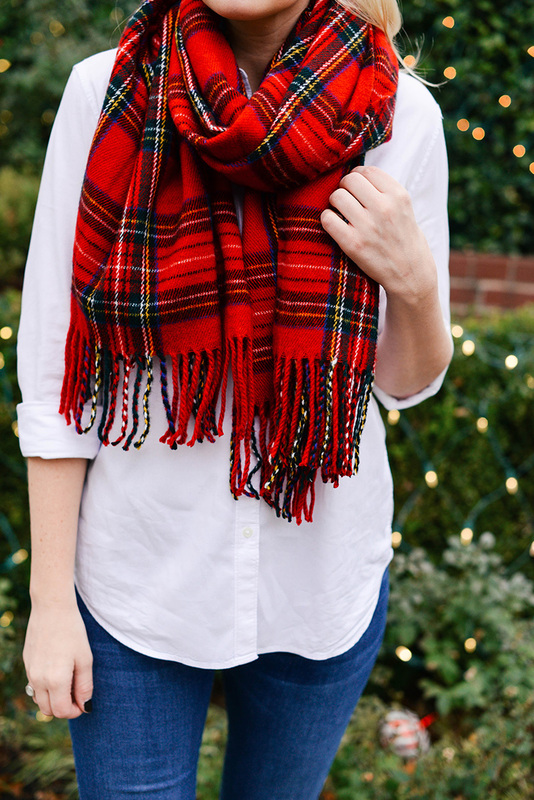 I found this particular plaid scarf in Kyoto, but I’ve linked several similar inexpensive styles below! Great post! You look stunning. Hoping you do one for New Year’s Eve. Thank you, Carrie!! I’m so glad you enjoyed it! LOVE all of these! I have such a hard time putting together outfits that are festive but not over the top. Great inspiration and ideas! 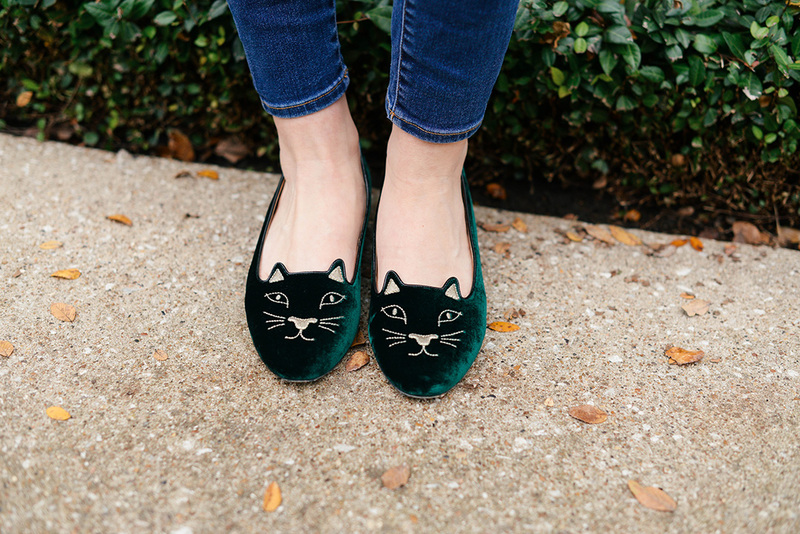 Also loving alllll the shoes in this post. I’m so glad you enjoyed the guide!! Loved this post! You look adorable and all the photos are so festive! 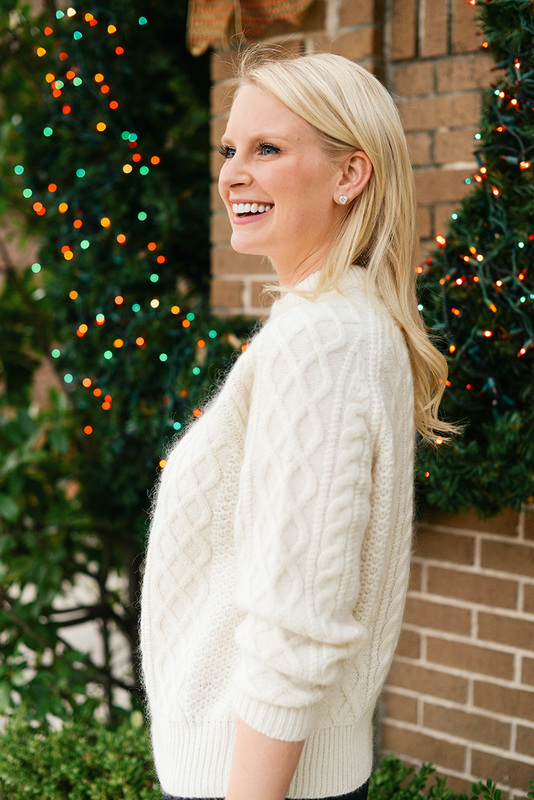 I am in love with the chunky knit sweater and the velvet cat shoes! Gorgeous outfits! You’ve nailed it! 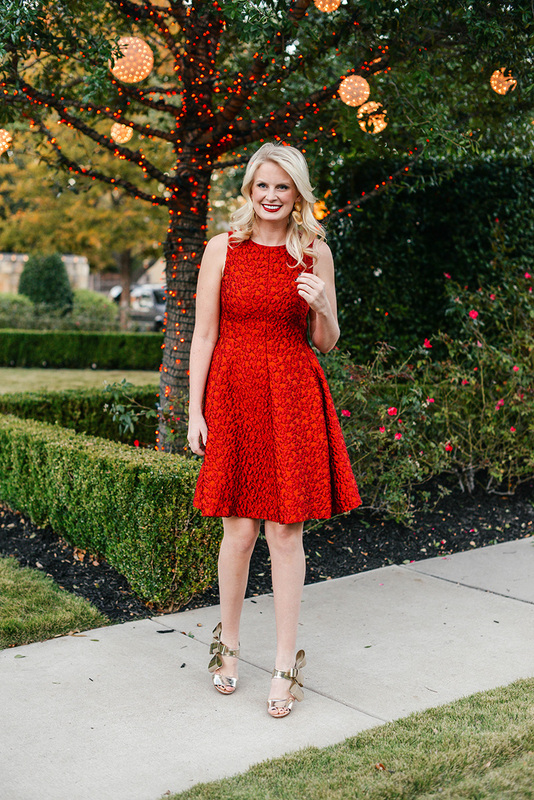 Love all of these, but especially the metallic skirt and red dress! You look gorgeous in all of them! Yesterday it was working (featuring both the top and pants on the same page), so I’m guessing the exact top sold out which is why only the pants from the designer are showing on that page. As I mentioned in the text under the images, it was already close to sold out, so I linked several other options! Please scroll through the widget below “Bell Sleeve Sweater + Metallic Skirt” text for other options!